We’re into state test prep season (our ELA test is a few weeks away) and our state of Massachusetts is in the midst of some pretty significant changes to what we call MCAS. The state claims to have moved away from PARCC, but that’s not really the case with its MCAS 2.o or MCAS Next Generation. As I work with my young writers on learning how to approach what is known as the Narrative Task, I find myself amused at how the whole concept seems like a riff out of the Fan Fiction textbook. 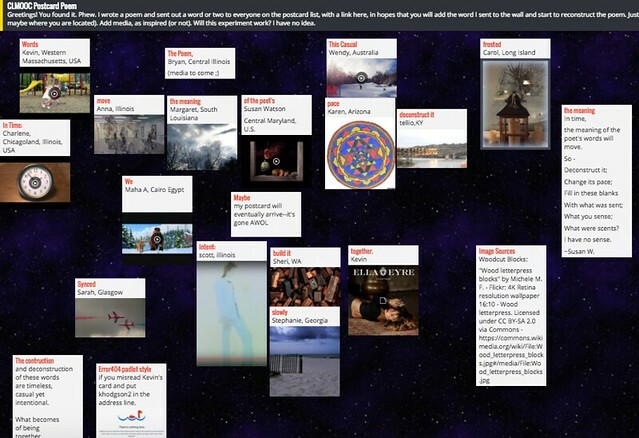 This is something we were exploring in Networked Narratives, too. The MCAS Narrative Task is built on the concept of reading a story, or a passage from a novel or larger piece of text, and then writing the “next section” of the story, with consideration of some concept — mostly, we’ve been seeing a focus on character and setting in sixth grade but fifth grade has been about shifting point of view. So, for example, in a sample we did last week, my students read about a girl and a nanny, in a rainstorm, rushing to meet an unknown aunt. Their assignment was to continue the story, with the characters and setting, and determine what happens next. And yesterday, I had them plucking minor characters from novels we are reading, or have read, and write a new story. We’ve been talking about Fan Fiction in Networked Narratives, as a way that writers find spaces to write, outside of school confines, with interests that bring them into a larger, but slightly hidden, online community. Fan Fiction has many elements of what we term Connected Learning. Now, granted, some fan fiction gets a little … adult, in content. I don’t think the state folks want to see any slash fiction (note: not necessarily violent and not about the GnR guitar player, but a genre in which two characters from different books meet, and likely hook up) in my students’ writing samples. But this notion of taking a character for a walk into your own story has its roots in fan fiction. Which makes it odd, and interesting, that the idea behind fan fiction would be the underpinning of the Narrative Task on a state test. 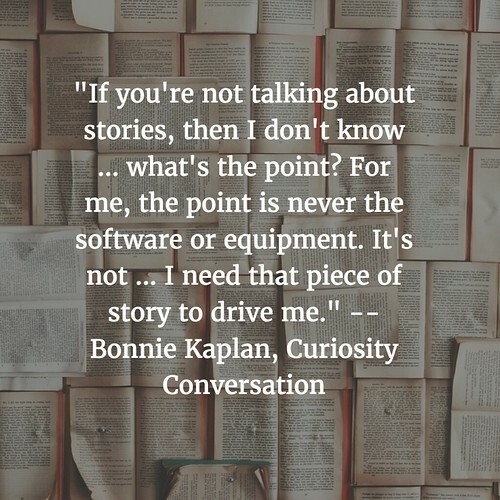 I have known Bonnie Kaplan for more than a decade now, through our affiliation with the National Writing Project and our common interest in digital storytelling. She is an avid video documentary filmmaker, and we have jumped into more than a few projects over the years (including the Collaborative ABC Project and the launch of the iAnthology writing space for NWP-affiliated teachers). When I learned she was just back from a course on Virtual Reality Storytelling, out in California, I wanted to chat with her, to pick her brain a bit about the potential and the possibilities of this new technology in terms of where it might lead us into storytelling down the road. (You can read her blog reflections here). Then I remembered Scott Glass and his Curiosity Conversation ideas from CLMOOC this past summer, in which one teacher reaches out to record a discussion with another on a topic of personal interest, so Bonnie and I chatted via Hangout. I am grateful for her time and friendship, and her reminder that stories are at the heart of any digital storytelling. I am very fortunate in having connected with so many educators around the globe for the ways their thinking keeps my thinking moving forward. Here’s the perfect example. Last November, I co-facilitated Digital Writing Month with Sarah Honeychurch (Scotland) and Maya Bali (Egypt). 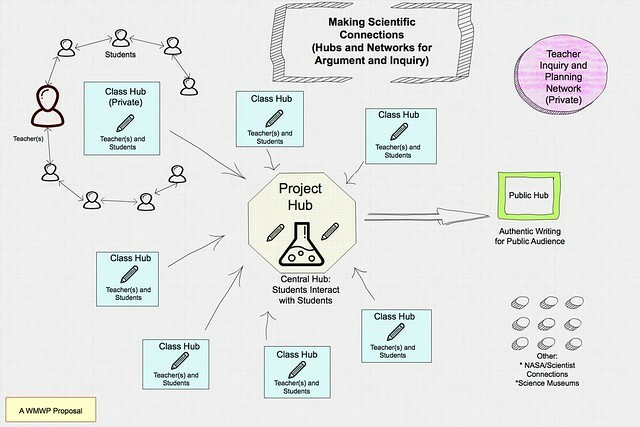 Not too long ago, Sarah presented at the AltC Conference on the nature on the facilitation of open learning networks, turning her attention to Digital Writing Month, Connected Learning MOOC (CLMOOC) and various Rhizomatic Learning activities. (See her presentation slides here). Maha and I added some ideas to the presentation, but Sarah presented. Sarah’s slides about Inclusion and Exclusion (who gets invited and who gets left out), often articulated beautifully when working with Maha, remains one of those tricky topics that we must keep asking ourselves about. This is also Connected Educator Month (in the US) — this issue of equity and access has to always be front and center. Not just for students (which is always a critical conversation) but also about educators. We had this kind of conversation this summer, during CLMOOC, when a Twitter Chat conversation suddenly turned on that question of “Who is Here and Who is Not Here,” and my friend Daniel, who works with youth in urban Chicago and often notices the disparity of access, reminds us again and again about reaching out, making deeper connections, offering up invitations. Often, this is easier said than done, I think. It’s easier to reach out to your existing networks, which may grow … but only incrementally, for the most part. And often, they grow with like-minded people. You speak the same “language” and articulate similar views. There is research that shows that many people remain in their social networking comfort zone. Maha Bali, who is insightful in her observations of the US-dominated connected education conversations, wisely guided the activities in the invitations for Digital Writing Month. Sarah and I helped Maha to reach out to writers and educators from various places in the world and cultures and backgrounds. What I didn’t realize at the time is that for every invite that fell into the traditional invite (white, male, American, etc. ), Maha and Sarah reached out even further for someone else, to balance out the community. To be honest, it took a lot of time and a lot of effort on the part of us, the facilitators, to make that happen. I’m not sure we were completely successful, but we were successful enough for me to appreciate Maha’s and Sarah’s insistence on the task. The new voices and the new ideas, and the new perspectives and lens on the world, enriched the experience. I’m not sure we do that enough with CLMOOC, particularly this year when it was a crowdsourced affair. When National Writing Project folks were overseeing CLMOOC, there was more planned intention, I think. 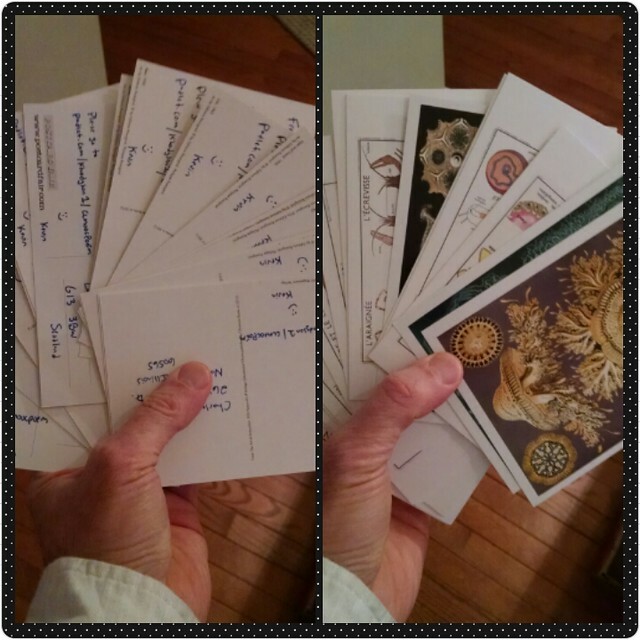 This summer, as a crowd of us sought to run CLMOOC, there was probably not enough purposeful invite. We didn’t do demographic studies, but a casual observation would be that we are mostly white, middle-class, American educators. This is not bad, but it doesn’t reflect the kind of diverse thinking that one would hope for (or at least, what I would hope for) in an open learning environment. We think of open learning as open doors, but some doors remain shut to people for all sorts of reasons. 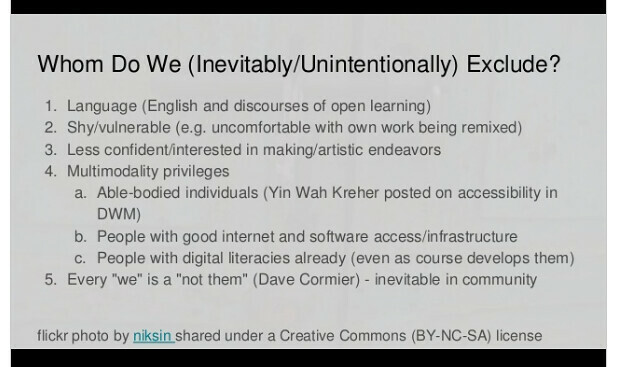 In the open learning networks that I am part of, none of this exclusion is ever intentional, as far as I can tell. If it was, I would push back or leave. That doesn’t mean the exclusion doesn’t happen, however. It does. And if we want the places where we learn together, and explore ideas together and collaboratively, to be truly “open,” then the issue of inclusion/exclusion has to be on the minds of any facilitator planning such a space. A discussion that unfolded some days back via the Rhizomatic Learning ‘uncourse’ (which is not happening) centered around how best to celebrate those folks who watch online learning networks (like MOOCs) but don’t participate. I don’t like the word “lurker” and prefer active observer. These folks (you may be one) are valued members of the community, too, even if they don’t actively participate. Sarah suggested a song in celebration of the observers of networks, which I took as a call to collaborate. I quickly set up an online document on TitanPad and opened it to up anyone to add lyrics. I honestly don’t know who wrote what lines. Isn’t that interesting? I did a little tinkering with the words to make them fit within the rhythm of the song, but not much. A few days later, as the words were being written on Titanpad, I was messing around with some open tuning on my guitar and came up with the underlying structure. I went into Soundtrap, a collaborative music recording site, and put the guitar track down and then invited folks to join me. Ron and Sarah, from other parts of the world, did, and over the last week or so, we’ve been slowly pulling the song into shape in Soundtrap. Here it is. Ron added the many keyboard layers and some of the underlying vocal pieces. Sarah added some mandolin. I played the guitar and sax, and we stayed with my scratch vocals, although we had hoped others might sing instead of me. Yesterday morning, I had the good fortune to hang with out with friends from Egypt and Scotland. 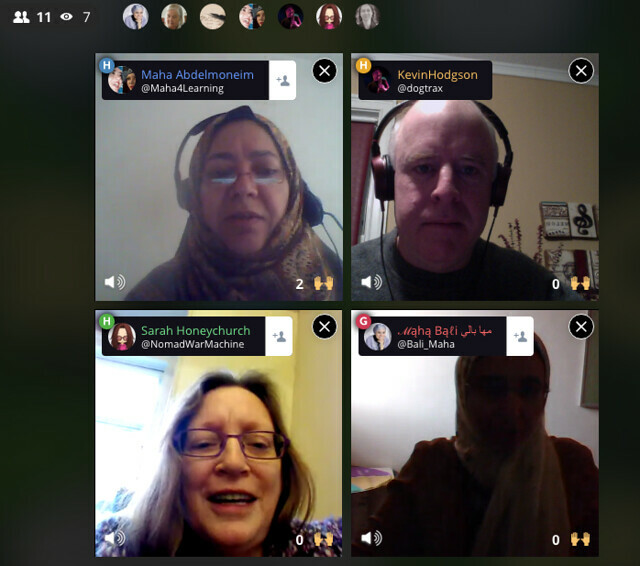 At 6 a.m. my time — but later in the day for them, of course — Maha B., Sarah H., Maha A. and I held a discussion on Blab (a new platform to me but reminds me a bit of The Brady Bunch opening sequence .. it’s still in Beta, and there were some minor technical difficulties) about Digital Writing Month reflections. Maha B. and Sarah are presenting to a TESOL conference soon, and they hope to use parts of the video chat in their presentation. The video eventually will be live on Youtube, I believe. For me, the conversation brought home yet again the concepts of connections. Yes, we were reflecting on the experiences of facilitating Digital Writing Month back in November and yes, it was recorded for a presentation to other educators, but here I was, at the break of day, chatting it up with some friends from other parts of the world on issues important to me, and all from the dining room table as my kids were getting up and getting ready for school. 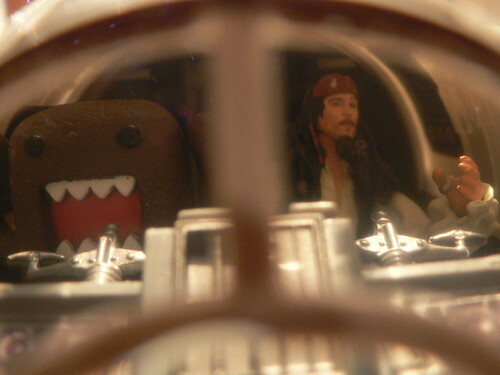 Pretty amazing — this small world. I am fortunate to have connected friends like these three, and many others, and I am fortunate to be living in a time when connections can be made and nurtured and extended time and time again. 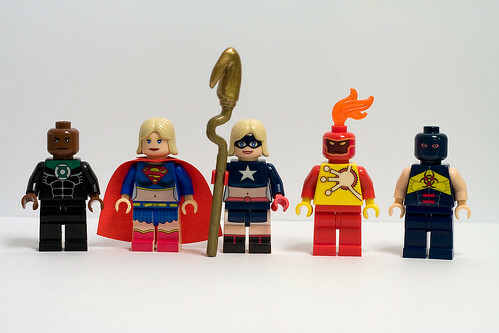 Now, how to help my students see those kinds of connections and extend their own views of the world …. Alan Levine does a brilliant job of weaving together stories of connections for his keynote address at the 2015 K12Online Conference. You need to watch this. Make connections. Share connections. Get connected.